There’s no doubt that for large and small businesses alike, the web drives sales. This article will dive into strategies which drive website engagement from the big three: Facebook, Instagram and Twitter. It’s a crucial social media platform for your brand. As Jayson DeMers pointed out in Forbes, marketing your business on Facebook must begin with optimizing your Page for search. Every component of the construction and content of your Page should be utilized in a way that will most successfully expand your brand’s reach and produce an increase in conversions. One of the most effective ways to utilize social media is not just to take advantage of the options for engagement, but also to use it to get data and feedback in a timely manner to tailor the experience so that results are never far off. This may be something as simple as the color of a banner, but it may also mean testing which hashtags produce the most responses on a given post, or how navigation variations effect conversion rates. According to the Wishpond Marketing Dictionary, "A/B testing is a method of controlled online marketing experiments in which a control and variable are tested against each other to optimize for conversion. Also called "Split Testing." Consistently performing tests to ensure that each and every aspect of your site is crafted for the best possible results should be at the top of your marketing goal priorities. They represent their target audience’s lifestyle. They maximize the level of engagement on their posts by going beyond mere product features. 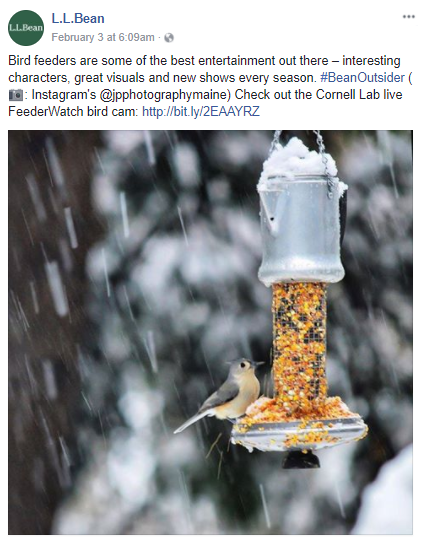 Instead, they feature the kinds of outdoor experiences, like bird feeding, which resonate with their customer base. They actively engage their customers. Facebook is a means to communicate and connect with people. Not only do they feature posts made by customers, they participate in conversations on posts and create a platform for others to do so in a non-advertorial manner. They utilize the Shop Now feature. They operate as a business which gives customers the opportunity to easily make their stop on social media result in a buying experience. 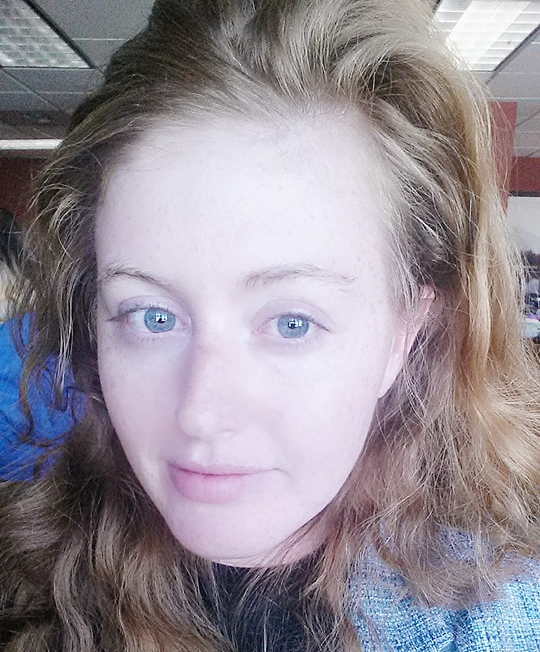 Because of the previous two points, this feels less-pushy and more natural. If you’re in the process of determining which social media platform your business should be on, don’t let yourself be swayed by the numbers of users alone; instead make sure you’re current and staying ahead of the curve. While Facebook has maintained larger numbers in terms of sheer usage, Instagram offers a differentformat that people are adopting and love. Not only that, but Facebook is losing the next generation of consumers to the likes of Instagram. Natasha Lomas of TechCrunch writes that the trend suggests, “younger users are favoring newer and more visual communications platforms.” Your website engagement strategy should not only address relevancy today, but tomorrow as well. 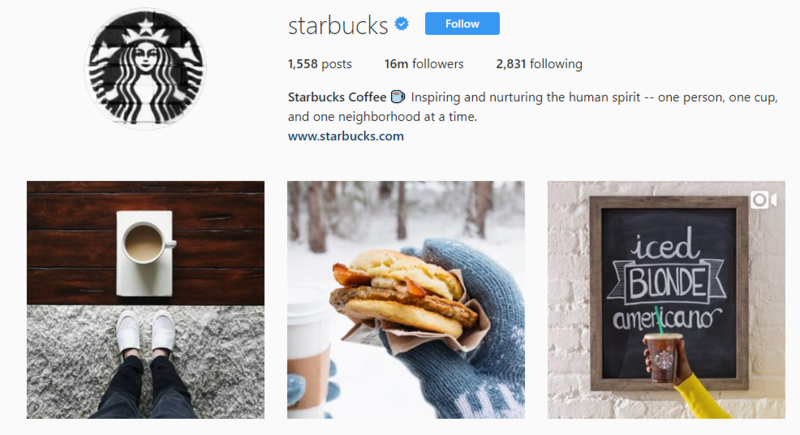 Starbucks is a solid example of a company that understands how to use Instagram to connect with their customer base. They regularly use the platform to promote new products, like an americano made with their new blonde espresso. Posts that feature products are balanced by those that feature customer photos, such as the two most recent in their feed (above). In doing so, they effectively send the message that their customers’ stories and the Starbucks’ story are intertwined. Utilize best posting practices: Make sure all of your content is featuring consistent branding, high-quality-images, and engaging substance. Don’t shy away from behind-the-scenes photos and videos. Even though starbucks showcases images that are their own as well as customers, the photos all fit the same aesthetic. Advertise on Instagram: If your marketing budget can handle it, consider paying for a sponsored post, where you’ll be able to hand pick your target audience (After all, one of AdWeek's top ad choices for 2017 was an Instagram Story by Lowe’s.). Use Instagram contests: Contests are one of the most dynamic ways to boost your following and create user engagement; it’s a clear incentive for your audience to participate. Sell your product: All of the aforementioned methods will build brand awareness and will create relationships with prospective customers. But if those prospective customers can’t easily convert, then they’ll always only be prospective. Market research has never been easier. If you want to know what’s going on in your industry, follow the leaders on Twitter; doing that will be even more useful for your strategy than building a huge following yourself. If you aren’t sure what to tweet, retweet and in doing so quickly and easily create an engaging profile. Twitter allows you to access and reach out to (tweet) even the most exclusive of industry leaders. Not only will you have access to what they’re doing and thinking about, but if you make an effort to catch their attention and succeed, the payback will make-up for all of the time you spent coming up with that clever tweet you aimed their way. Scheduling tools make it easy to post at an optimal rate without a lot of invested time or energy. Overall, the point is that Twitter makes it easier than any other platform to engage your target market in your same industry and to create (or reshare) content that will be engaging to prospective customers. Twitter Best Practices to Increase your Website Engagement. Tweet smart: When you are ready to take that step from retweeting to tweeting original content, be sure to strategize and utilize formulas for tweets that will most consistently drive traffic where you want it. Find an ad campaign: Take advantage of the fact that Twitter has different ad campaigns that are objective-based and will work with your budget. Twitter itself notes that 41% of those who saw an ad on the platform in the last 30 days purchased the product and over 60% of users have shown their friends something on Twitter in the last week alone. One of the most competitive markets in the United States is the hospitality market in New York City, and standing out within it is a serious undertaking. 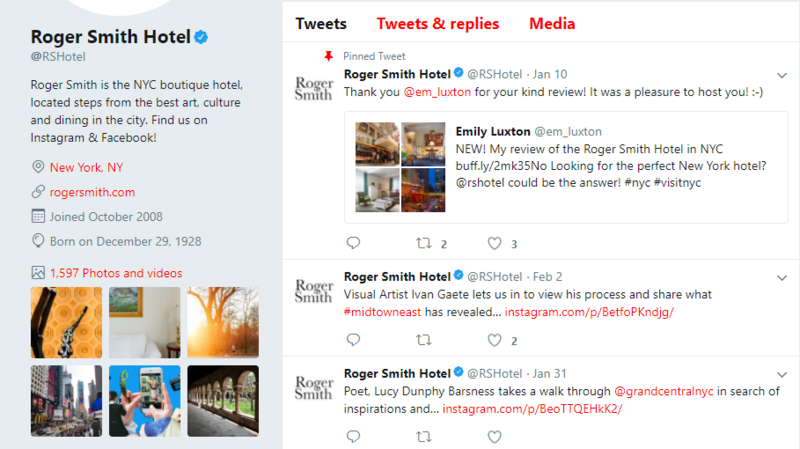 The Roger Smith Hotel, despite being a small, boutique hotel in Manhattan, is an example of a small business utilizing Twitter to do just that. After inviting social media influencers and journalists to try their services, they were able to reap the rewards of the large audience those influencers who had already built. Their Twitter is consistently filled with pictures of the city, trivia, and coupons; they showcase the fact that the hotel is very much a part of the New York City community, which is exactly what most guests want for themselves when they visit a new city. Guests who book via Twitter receive a discount and they feature a Twitter kiosk in their lobby. Social media presents options that marketers of the past could never have imagined. It’s built-in appeal and cost-effectiveness make it a priceless tool in the hands of the savvy professional. And beyond that, it dispenses data almost instantaneously. For those hoping to bolster brand awareness and build revenue, the starting place is optimizing a website that will keep and ultimately convert customers. The supporting components of that website however (like social media), are how you drive traffic to that website and find true success.